But as it happens, I grew up and had my first taste of baloney’s sophisticated Italian cousin, Mortadella, and I was a goner! My boloney-eating days were over – this smooth, sweet and spicy, pistachio-filled deli roll is the “caviar” of lunchmeat. I haven’t been to Bologna, Italy yet, but I am planning my pilgrimage once I’m settled in Orvieto. 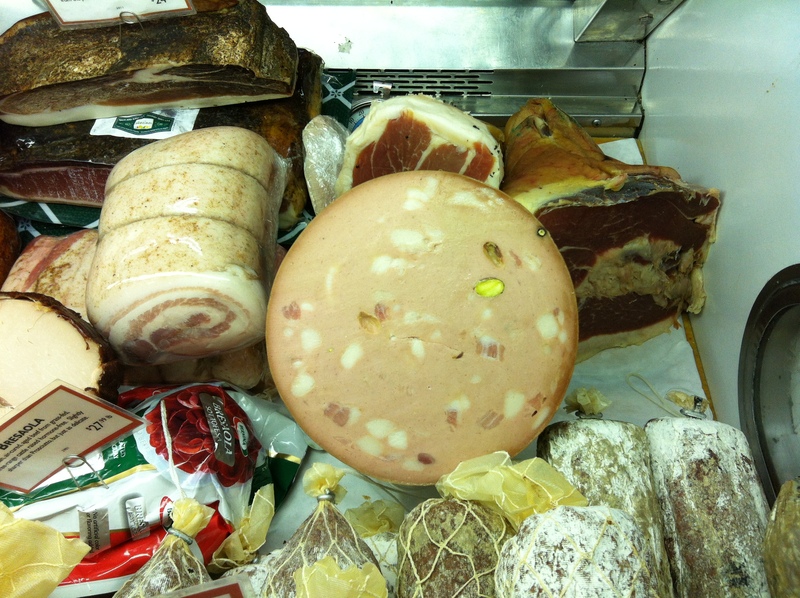 The city of Bologna is famous for this finely ground, heat-cured pork salumi, produced there since the 14th century. Suspected to have originally been a Roman sausage, Mortadella di Bologna has achieved the epitome of food recognition – it has a Protected Geological Indication status designated by the European Union to preserve the regional names of products. In strict accordance with these delicious guidelines, a classic Mortadella di Bologna must be prepared with 15% evenly distributed squares of fat, no preservatives, fillers, or additives. Naturale! When in Italy I will be living-off Mortadella’s mouth-watering yumminess. I’ll eat it for breakfast, lunch, dinner, and as a bedtime snack. I’ll eat it between two pieces of bread, thinly sliced “as is” with a glass of wine, cubed, fried, moussed and spread, and stuffed into tortellini. 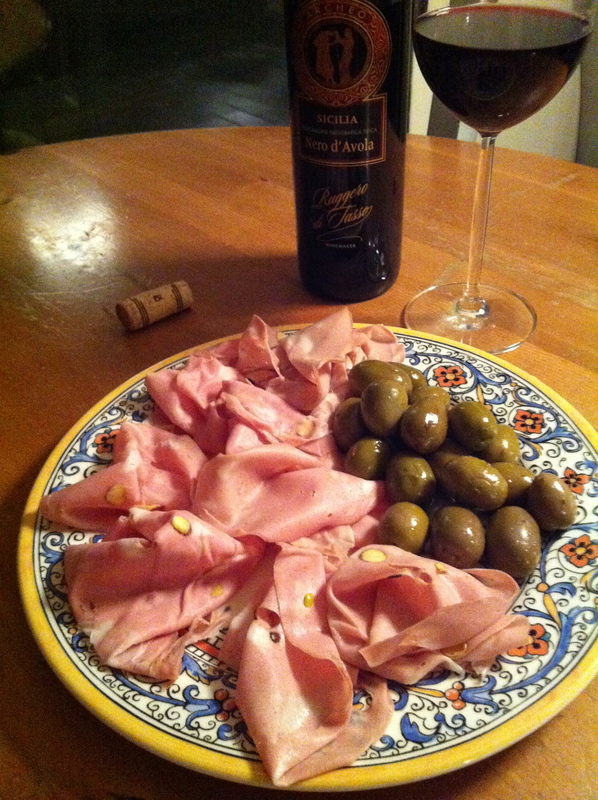 Any way you slice it…Mortadella e’ bella! P.S. I’m thinking of changing my nickname. How does “Toni DeMortadellaBella” grab you?